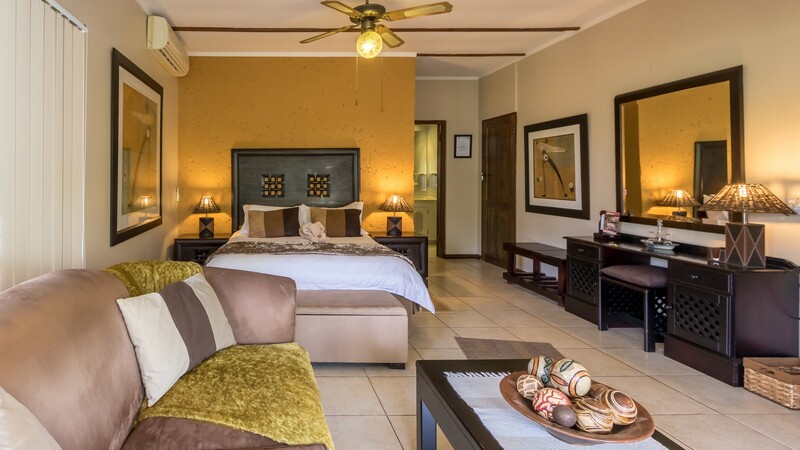 Jörn's Guest House is situated against the foot af a hill overlooking the picturesque capital city of Nelspruit in Mpumalanga Province, South Africa. 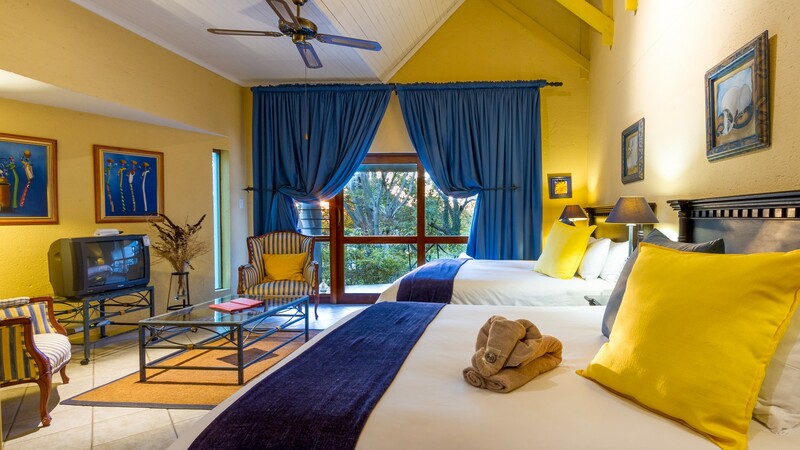 the area is known as the Lowveld or Legogote in the indigenous language of the area.The surrounding indigenous bush teems with wildlife and more than 200 species of birds for the keen bird watcher to enjoy. 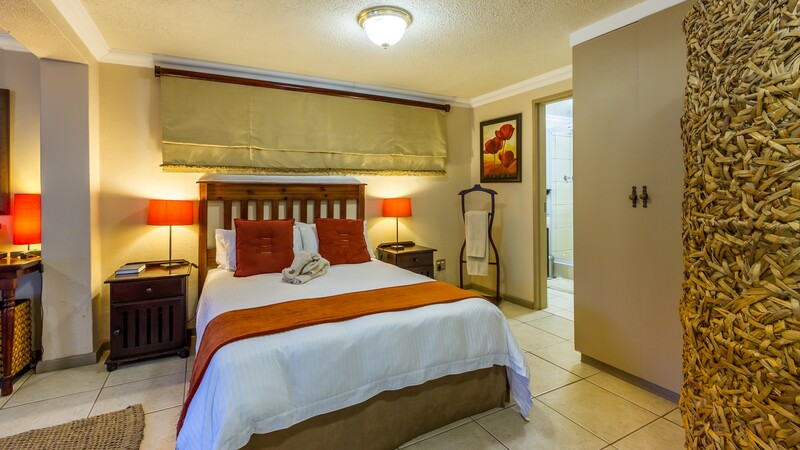 Jörn's is conveniently situated within easy reach of the world famous Kruger National Park as well as very many other local attractions for which the Lowveld has became Famous. 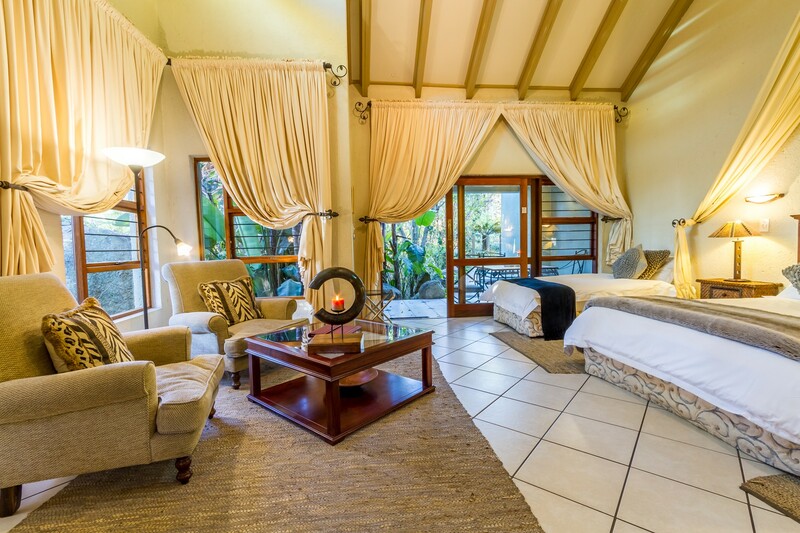 Jörn's Guest House was the first registered Guest House in Nelspruit. 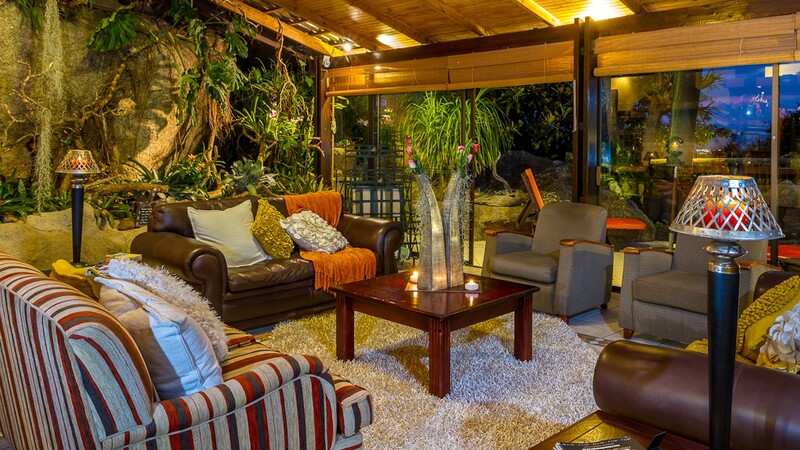 Jörn Goldenbogen, the owner is a very well known person in the nelspruit area. 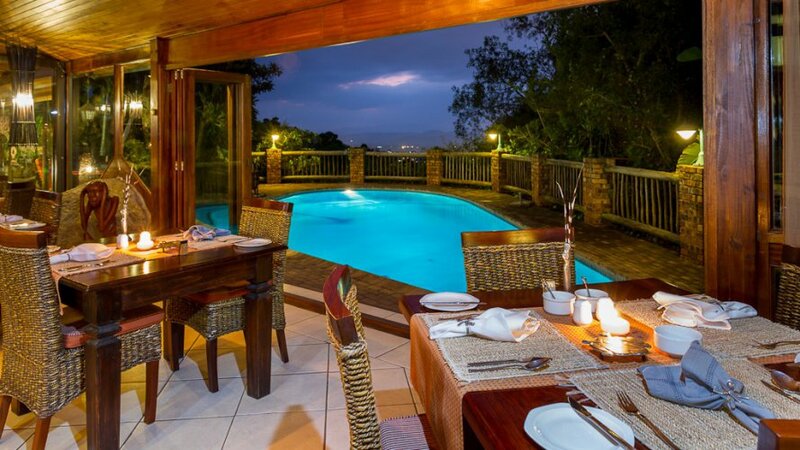 He established the famous Why Not Restaurant in the town of Nelspruit in 1973. 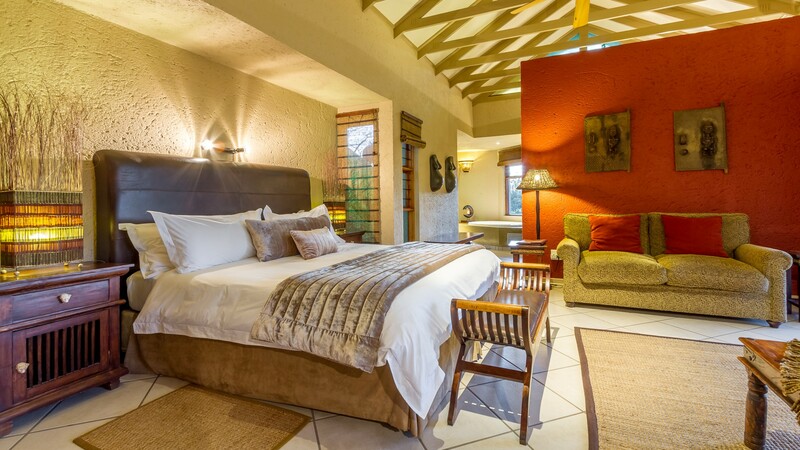 The Why Not became a household name in the Lowveld and a great success story. Jörn completed his hotellier training in Hamburg, Germany from 1963 to 1966. 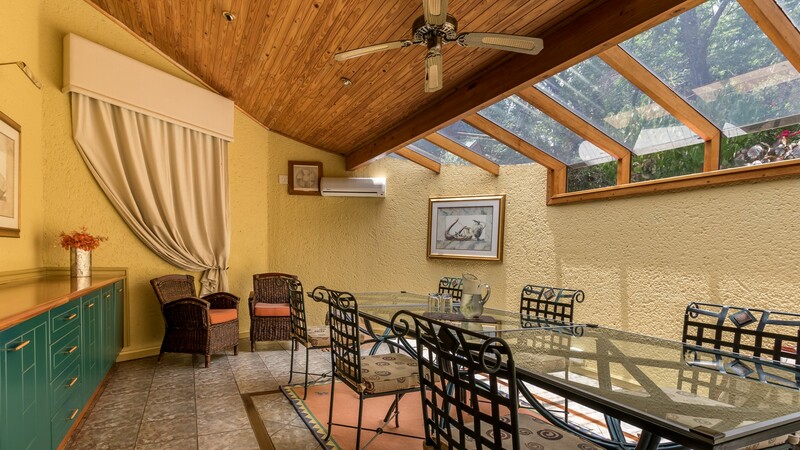 The surrounding neighborhood is typically quiet and relaxed with a variety of local restaurants and a world class golf course within walking distance. 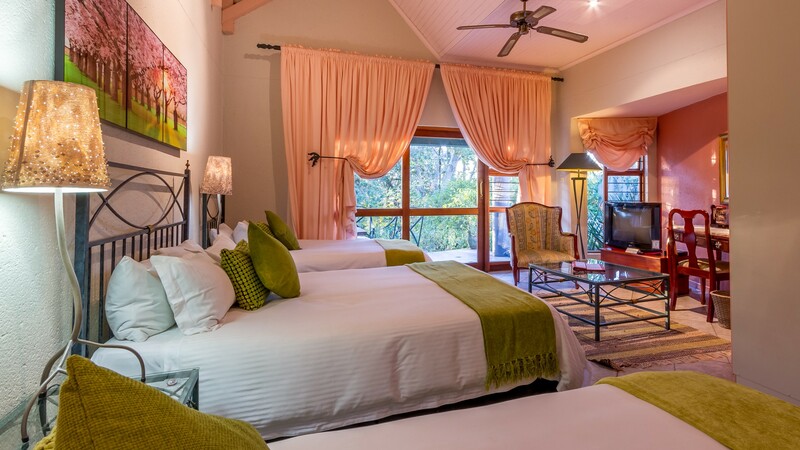 On the premises our garden is a lush paridise visited by monkeys and Loeries on a daily basis and our crystal clear pool is always inviting and a great place to relax on a lazy afternoon before sipping a sundowner overlooking Nelspruit and the mountains of the escarpment in the distance. 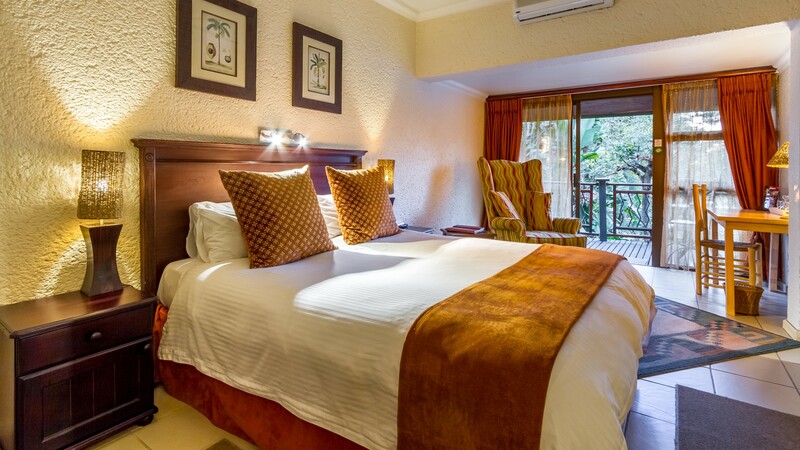 All our architecturally designed rooms are equipped with a coffee station, towels, hotel amenities, air-conditioning and a mini bar in a refrigerator as well as flat screen televisions with a hotel bouquet of channels, including sport channels as well as other amenities such as a hair dryer and laundry bag. 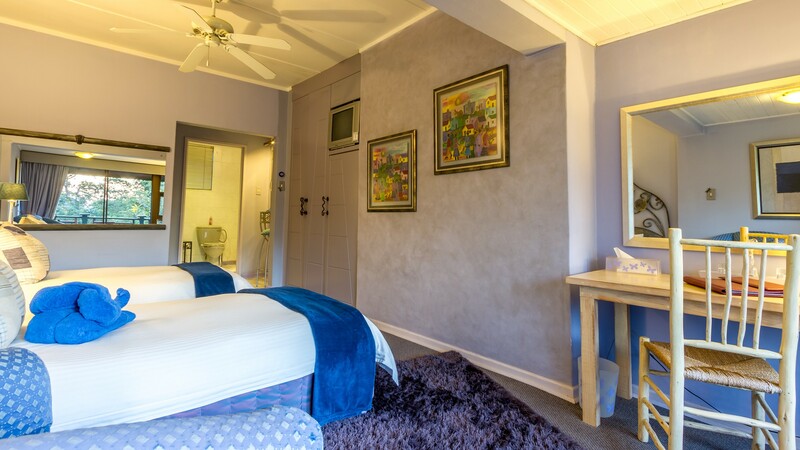 Our free-standing rooms are individually designed, furnished and decorated and our three Family Rooms are super spacious. 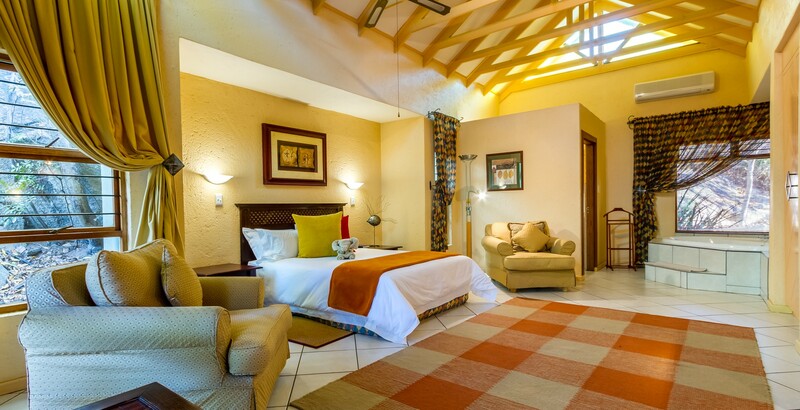 They can accommodate up to four guests per room. 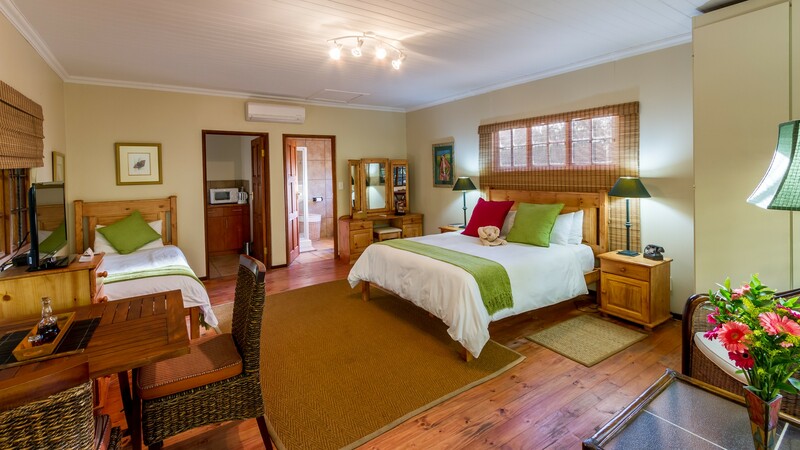 We do not offer accommodation to children under the age of six, but we make up for that with quietude and a truly relaxed and peaceful environment in which to work, play and explore. 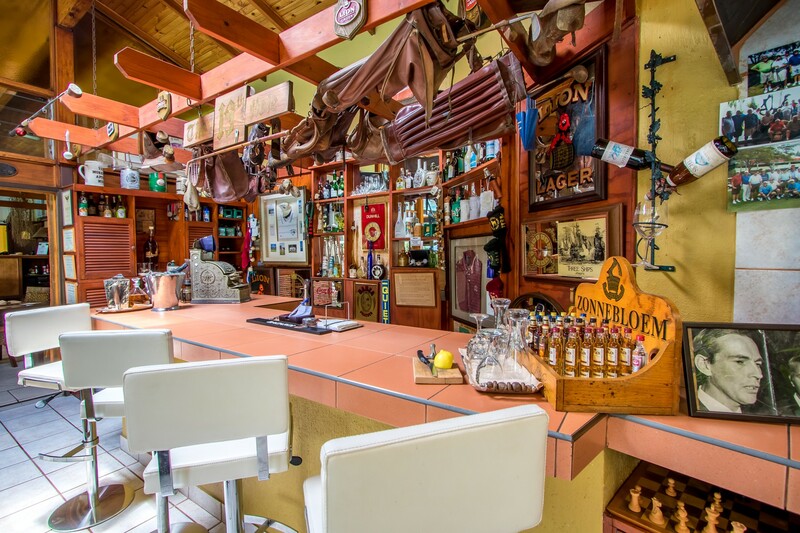 Jörn's Guest House offers a comprehensive breakfast Buffet as well as a choice of three hot breakfasts from our kitchen every day. We regularly receive rave rweviews for your hearty breakfast. We also pack a generous Breakfast hamper for those guests who leave early for business as well as for patrons who plan te visit the kruger Park. 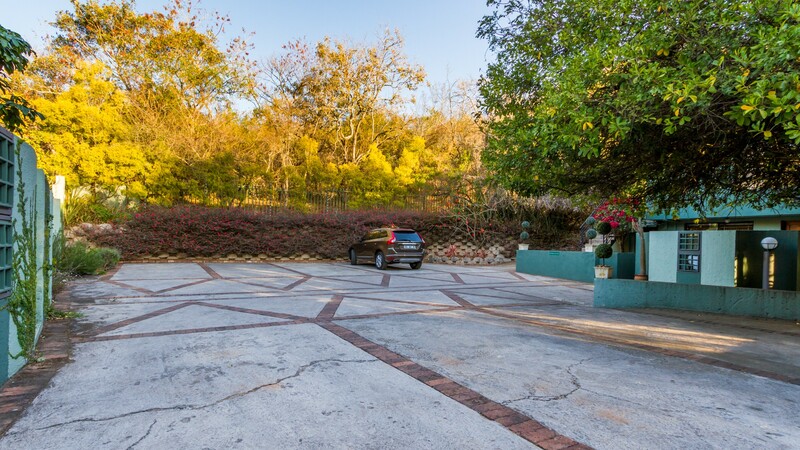 We offer free parking, free wifi and all-night security. We look forward to welcome you as a first visitor and as always we are delighted to welcome back all our many return guests from all over the world!